Over the past decade, conductor Jaap van Zweden has become an international presence on three continents. The 2018/19 season marks his first as the 26th Music Director of the New York Philharmonic. He continues as Music Director of the Hong Kong Philharmonic Orchestra, a post he has held since 2012 - his seventh season with the HK Phil in 2018/19 season, the orchestra’s 45th professional season. Guest engagements this season include the Leipzig Gewandhausorchester, Munich Philharmonic, Orchestre de Paris, San Francisco Symphony and Dallas Symphony Orchestra where he is Conductor Laureate having just completed a ten-year tenure at its helm. 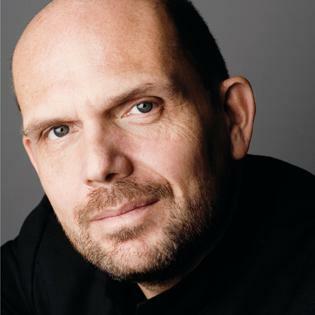 Jaap van Zweden has appeared as guest conductor with many other leading orchestras around the globe, among them the Royal Concertgebouw, Chicago Symphony, Cleveland Orchestra, Los Angeles Philharmonic, Vienna and Berlin Philharmonics, Orchestre National de France and London Symphony Orchestra. In his inaugural season as Music Director of the New York Philharmonic, Jaap van Zweden conducts repertoire ranging from five World Premieres to symphonic cornerstones. He also presides over three major season pillars that contextualise music through a variety of programmes complemented by citywide collaborations. Maestro van Zweden also welcomes New Yorkers to Phil the Hall - special concerts for the community - and to the Annual Free Memorial Day Concert, as well as the Concerts in the Parks.